Award winning digital pop-art artist specializing in colorful, seasonal and whimsical vector design and illustration. It’s cute design that’s infinitely curious, equally as inventive and perfectly capable. Art inspired by a synthesis of Classical Realism, Japanese-inspired Minimalism and pursuit of perfection with undertones of math and science following a relative proportion of cute! 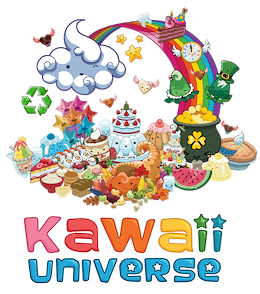 Kawaii Universe - : offers an extensive array of cute products and apparel featuring those creations.